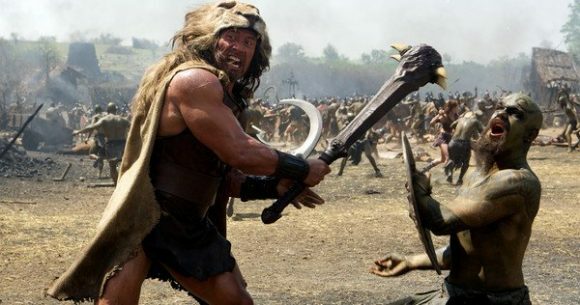 Three’s repeat of the Dwyane Johnson movie, Hercules, strong-armed the competition on Thursday. It won in all the core commercial demographics, with channel shares of 15.8% – 23.9%. It averaged 3.8% of Three’s target audience, 25-54 year-olds, compared to 1.9% for Our Dream Hotel and 1.4% for Coronation Street on TVNZ 1. TVNZ 2’s First Dates averaged 2.7% of this demo and I’m a Celebrity Get Me Out of Here!, 1.3%. Prime’s Bull averaged 0.8% and Madam Secretary, 0.2%. But Three comedies, Modern Family and 9JKL, were out-rated by the Kiwi combos on TVNZ 1 (Karen & Kasey’s Kitchen Diplomacy, Topp Country) and TVNZ 2 (Police Ten 7, The Big Ward). 1 News at Six beat Three’s Newshub Live in all the key demos except 18-39 while 1’s Seven Sharp comfortably outstripped Three’s The Project across the board. Thanks to the enduring popularity of Shortland Street and Police Ten 7, TVNZ 2 won the night in the core demos and Three finished ahead of TVNZ 1 in all but household shoppers with kids. Not sure why the networks persist with new content. Consistently the best thing that rates are old movies! Whether they be repeats or not the ratings suggest ditching costly programming in favour of movies for the masses (sic). I tried to watch a movie on Three once a number of years ago. Soo many ads I turned off and have never seen a movie on free to air ever again.